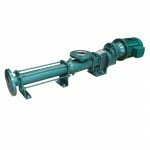 Global Pumps is an authorised distributor of the Netzsch products. Netzsch is a well known market leader that has over the years developed and revolutionized the pump manufacturing industry. They manufacture over 50,000 pumps a year and provide the industry with innovated and efficient products. The company has over six decades of experience in making quality positive displacement pumps that are used in many different applications such as Sludge pumping, Dewatering, Beverage handling and transfer.